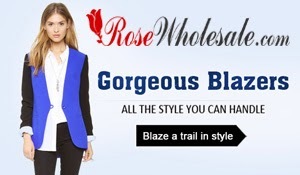 ROSE WHOLESALE.COM is one of the largest online clothes wholesalers, They specialize in affordable clothes for fashion for less. They feature extensive collections of clothes for girls with the latest designs, as well as clothes for women with sophisticated styling. Products ranges also include clothes for men with the hippest and smartest looks. Available at huge discounts and wholesale direct prices, all of their clothes for sale are perfectly manufactured to the highest standards to give you maximum peace of mind when you buy clothes online. You can also check them out on facebook for more of their fabulous and affordable pieces HERE. In line with this, We are proud that we have collaborated to bring you a giveaway where in we are giving away 2 stylish tops and a set of accessories to ONE LUCKY WINNER! Isn't that exciting!! Lady like round neck checkered print long sleeves chiffon top. More about the product HERE. Stylish neck black lace splice chiffon long sleeves top. More about the product HERE. 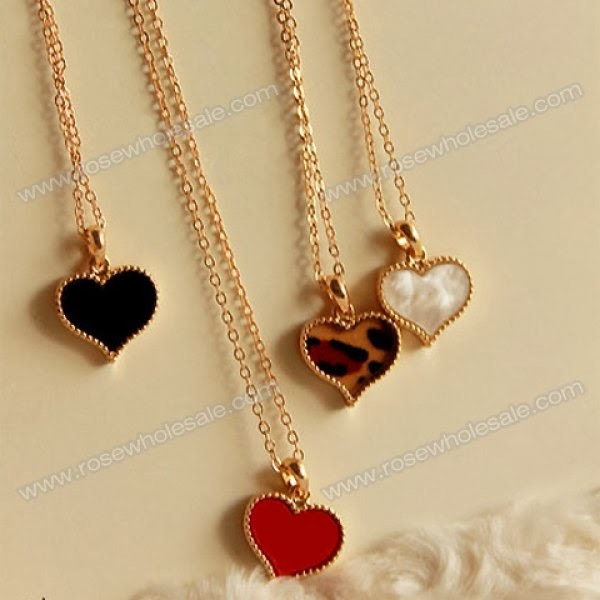 And.. a romantic style heart necklace. More about the product HERE. Can't contain the excitement about this giveaway! So what are you waiting for? Send in your entries via rafflcopter and join!! Announcement of the winner will be on Dec 21,2013 via facebook page and blogposts. Goodluck Ladies! This is truly an advance Merry Christmas! I so love this giveaway! And im really hoping i'll win this time Ms. Jaqui! 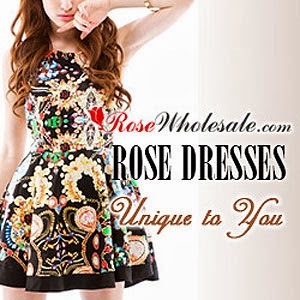 i really like the products from Rosewholesale, if i order do i have to pay taxes here to get my product?